Deeply in love with my new Cando Bold Frames, I found on Ebay. They remind me of Ance's 'Frame' Sunglasses seen on FarFetch. 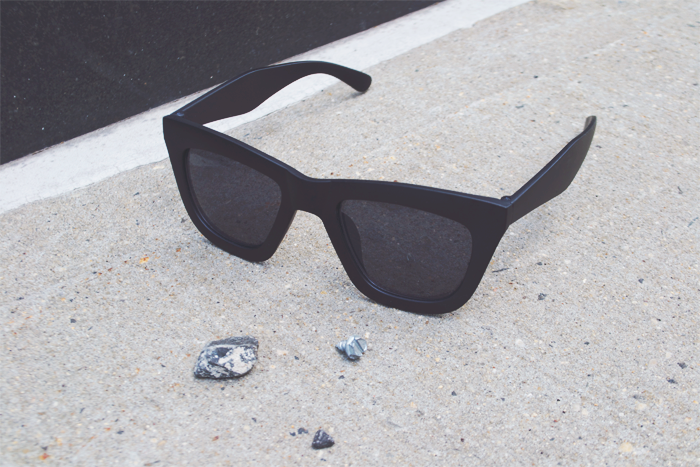 The clash between the wayfarer-style and polarized lens is amazingly, beautiful. I cannot wait to sport this bad boy during this Spring-Summer season. Ps. Today's my graduation. I'm excited to have another accomplishment under my belt. I'm one step closer to seeing my name in lights. Be sure to follow me on Bloglovin, Lookbook, Facebook, Twitter, Tumblr, and Instagram. Great blog:)Thanks for following:)I follow you too. the frames are amazing and congratulations! Muy buena elección... me gustan mucho esos marcos. Thank you for your comment. Following you back. Olá vim retribuir a visita e seguir seu blog beijos. Hey Steven thanks for your comment on my blog! I love your blog as well, it's very clean and simple! Btw I read what kind of study your following...really awesome! At which university are you following that course if I might ask? Thanks for following! You sir have a very cool blog and I am now your newest follower! Chico, haces unas fotos increíbles!! Thank you for introducing me to your blog Steven! I sm certainly happy to find myself here. Your concepts are out of this world! Thanks a lot, I appreciate that very much! Your blog is amazing as well! And I'm in love with those sunnies! Thank you for following - really like your blog as wel, those sunnies were a good purchase. Great picture. Love your sunnies!